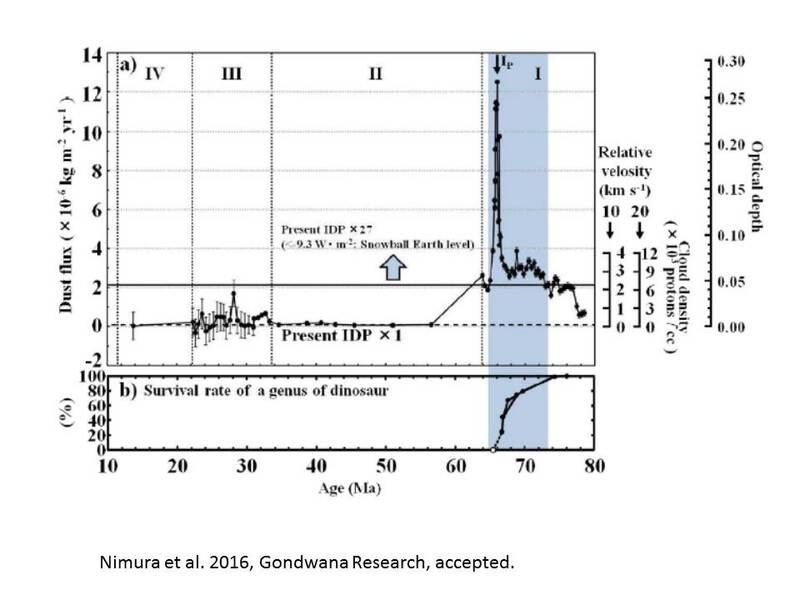 1) Nimura, T., Ebisuzaki, T., and Maruyama S., 2016, End-cretaceous cooling and mass extinction driven by a dark cloud encounter, Gondwana Reserach, accepted. 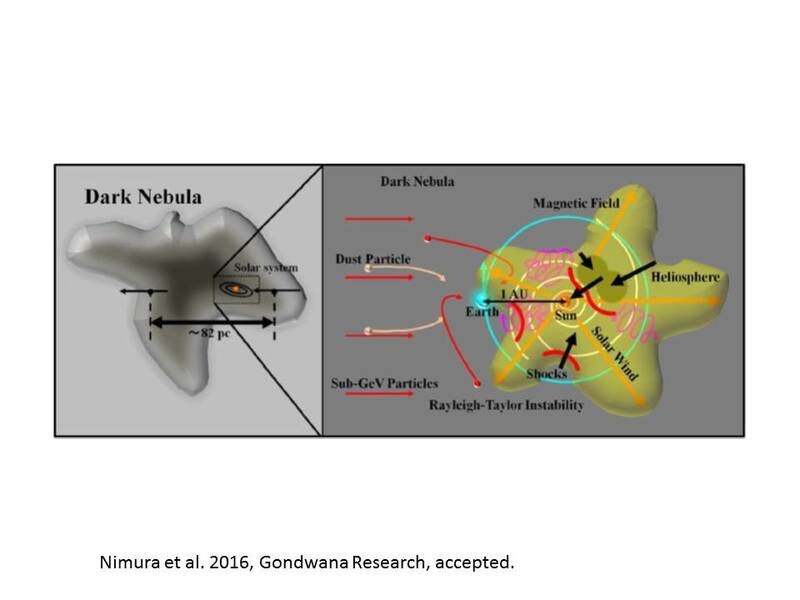 2) Kataoka, R. Ebisuzaki, T. et al. 2013, Snowball earth driven by starbursts of the milky way galaxy, New Astronomy, 21, 50-62. 3) Kataoka, R., Ebisuzaki, T. et al. 2014, The Nebula Winter: the united theory of the snowball earth, mass extinctions, and explosive evolution in the late Neprotrozoic and Cambrian periods, Gondwana Reserach, 25, 1153-1163.